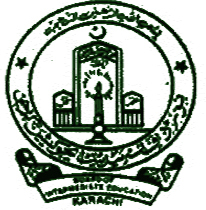 Karachi, Board of Intermediate Education Karachi has announced the BIEK Karachi inter part 2 supply exams 2018 result. BIEK HSSC part 2 result 2018 has been announced in the humanities, commerce and general groups and the students will get their BIEK Karachi FA/FSc part 2 result 2018 online with the detail of their marks, which are shown against their roll numbers. Karachi Inter Board class XII result 2018 is provided for the convenience of the candidates and they can get the detailed information and updates regarding their BIEK 12th class result 2018 from this page.